If your dream is to purchase a boat in the near future, then you need to consider the additional costs of owning a boat. Although the costs will vary considerably, the cost of boat insurance, repairs and monthly boat slip fees are common expenses that every boat owner needs to factor into their overall expenses. Like vehicles, boat owners need to carry boat insurance as well. Although the cost of boat insurance can and does vary, the cost of insurance a boat or a yacht can add up over the years. The type of yacht or boat you would like to insure will make a difference. So boats and yachts are more expensive to insure than others. In addition, how much boat insurance you to intend to carry will also make a difference on how much you will pay for your boat insurance premiums. Another cost that should be factored into the cost of owning a boat is the cost of maintenance and repairs. Like vehicles, boats need to be maintained and often need repairs. Even if you are buying a new boat that is covered by a manufacturer’s warranty, down the road you could wind up paying a tremendous amount on boat repairs. Even if your boat remains in good shape and never needs any significant repairs, boat owners pay thousands of dollars to maintain their boats over the years. In addition to having the oil changed, boats also need to be painted on a regular basis. Although the cost to maintain a yacht will be significantly higher than a smaller boat, these cost add up over the years. If you don’t own a home with a slip, then you will need to factor in the cost of paying for a boat slip year round at a marina and additional winter storage fees. 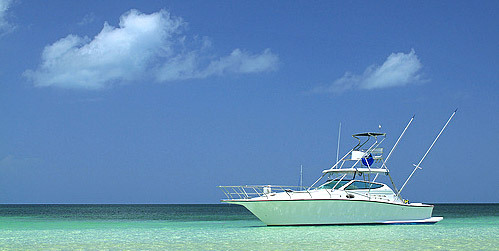 Whether you plan to use your boat locally or travel around the world, you will have to file a place to moor your boat. In addition to boat slips, you may need to factor the cost of dry storage into the equation as well. Many boat owners do not have to worry about this additional expense because they keep their boat in a warm weather state. However, many boat owners have to pay for dry storage because boating is seasonal where they live. Before investing in a new or used boat, you have to factor in all of the regular and unexpected costs of owning a boat. Even if these expenses seem minimal, you have to plan for unexpected boat repairs that can be very expensive and can arise at anytime. By carefully considering the three important costs of owning a boat, you will have a better idea of how much it will cost you to maintain your boat each year.